Stéphane Garelli is a Professor at both the International Institute for Management Development (IMD), one of the world’s leading business schools, and at the University of Lausanne. He is also the director of the IMD’s World Competitiveness Center and an authority on World Competitiveness: his research focuses particularly on how nations and enterprises compete on International markets. He publishes the IMD World Competitiveness Yearbook – the most comprehensive and reputed study in the field of the competitiveness of nations. This yearly report compares the competitiveness of sixty-one countries and regions using 312 criteria. Professor Garelli is widely considered to be one of the top lecturers on economic and business matters. He has a unique ability to analyze and describe the world economic environment as it evolves, and to draw conclusions about what changes in the world economy actually mean for companies and individuals alike. Stéphane Garelli reads today’s global economic picture better than anyone else – he is an exciting speaker who combines content with an entertaining approach to complex issues supported by his trademark graphics. His presentations on competitiveness provoke companies and individuals to think “outside the box”, and to confront their strategies with recent market trends and new competitive pressures. His best-selling book is: “Top Class Competitors – How Nations, Firms and Individuals Succeed in the New World of Competitiveness” published by Wiley. 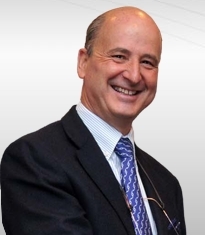 Professor Garelli is closely connected to the world of business. He is, among others, Chairman of the Board of Directors of „Le Temps”, the leading French language Swiss newspaper. He was formerly Chairman of the Board of the Sandoz Financial and Banking Holding, and member of the board of the Banque Edouard Constant. The author of numerous publications in the field of competitiveness, international trade and investments, he is also a columnist in several magazines. For twelve years he was permanent senior adviser to the European management of Hewlett-Packard, and before that, Managing Director of the World Economic Forum and of the Davos Symposium for many years. He is a member of a number of institutes, such as: China Enterprise Management Association, Board of the „Fondation Jean Monet pour l’Europe”, The Swiss Academy of Engineering Sciences, The Royal Society for the encouragement of Arts, Manufactures and Commerce, the Mexican Council for Competitiveness, etc. He was a member of the Constitutional Assembly of his local state – Vaud, Switzerland from 1999 to 2002.